Taking your CBT Test in Derby is the first step to getting out onto the open road on two wheels and enjoying some of the amazing biking roads in Derbyshire and beyond. 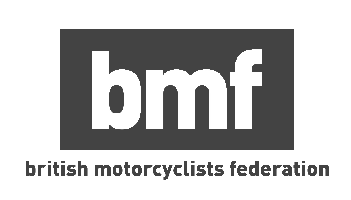 If you dream of heading over to Matlock Bath Bike Night, or riding amazing roads like the Snake Pass in the Peak District, then taking your CBT test in Derby is your first step. RideTo currently has two CBT test centres in the Derbyshire area. The first, Derbyshire Motorbike School, is located 10 miles north of Derby, at the Amber Business Centre in Riddings. This centre is MCIAC approved, which means you’ll be getting the absolute best training and customer service. Since it’s 10 miles outside the centre of Derby, the roads are quieter and more varied. To reach our second test centre you’ll have to cross county lines in Nottinghamshire. Think Bike Training are based in the heart of Nottingham, just a short walk from Nottingham station. Think Bike Training are also MCIAC approved and also have an onsite cafe if you get peckish throughout the day! CBT stands for Compulsory Basic Training, and it’s the minimum standard you must meet in order to ride a scooter or motorcycle on the UK’s roads. A CBT takes just one day, and there is no test, so you don’t need to panic - you can just enjoy the process of learning to ride a bike. CBT tests in Derby all take on the same format. The day will start in the classroom, where your instructor will teach you how to handle and control a motorcycle or scooter, both at slow speed and on public roads. They will also go over some basic highway code and teach you all about the safety equipment. You don’t need to worry about owning your own helmet or other motorcycles gear - all RideTo CBT Test locations will provide these for you. Once you’ve learned how to control a bike, it’s time to put the theory to practice. First, your instructor will have you get used to riding a bike on their off-road area. Usually they will take you through a set of routes. Once the instructor is happy, you’ll head out onto the road. For the road portion of the CBT Derby you will most likely go out in pairs, and you will take it in turns to ride ahead of the instructor, so he can assess your riding. The instructor will be looking for confidence and good road awareness. Any UK citizen aged 16 or over is eligible for a CBT. If you’re 16-years-old, that means you’ll be limited to riding a scooter or motorcycle with a maximum capacity of 50cc and restricted top speed of 30mph. Once you reach the age of 17, you can move up in capacity to 125cc. You cannot ride a bike over 125cc unless you take and pass a full motorcycle licence. Unlike a full motorcycle or car licence a CBT must be renewed every two years if you want to continue riding on the roads. Are you ready? Book your CBT test in Derby now.